People Make It Special. Community Calendar. Their Residents. Community Overview. Southwestern Lifestyle. Pima Council on Aging serves as advocate, planner, developer and provider of services and programs for Pima County's older citizens and their families. 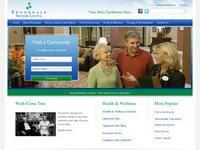 Tucson Arizona Senior Assisted Living, Memory Care, and Respite Care Home. Personal care assistance, alzheimer's and dementia care, nursing care, medication management, 24-hr supervision and emergency call systems, nursing staff, consulting, etc. Reservations: 800-292-8616. Senior Residents - 55+ please come and join the friendly folks that are living the Western Way. 3100 S. Kinney Road Tucson, Arizona 85713. Phone (520) 578-1715. Reservations: 800-292-8616. Rates, About, Local Attractions, Contact them, Photos.